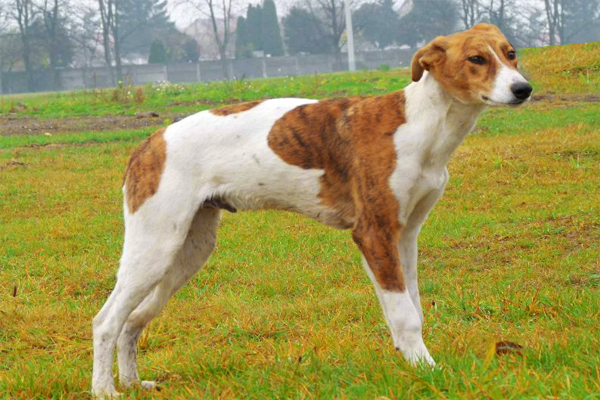 The Magyar Agár is a sight-hound of elegant yet rugged stature. 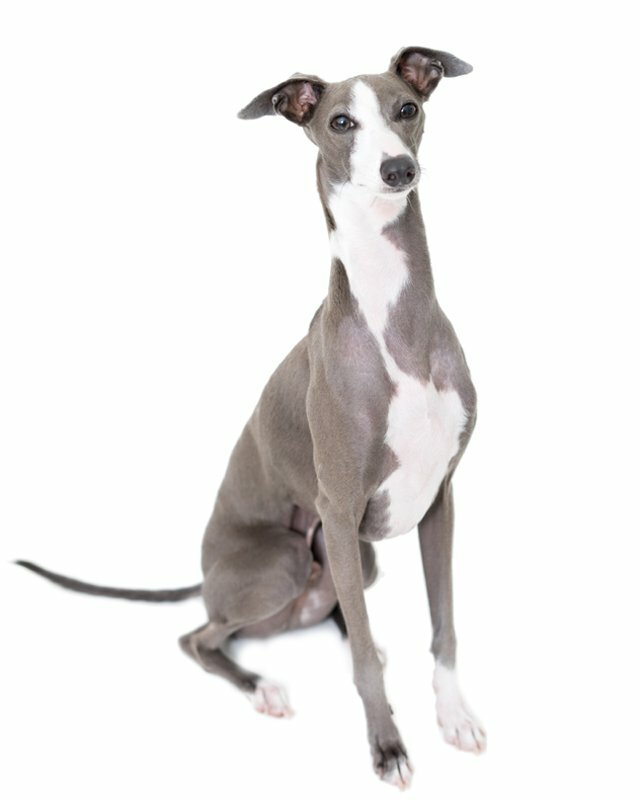 While they bear some resemblance to Greyhounds, there are a number of significant differences in conformation between the two breeds. 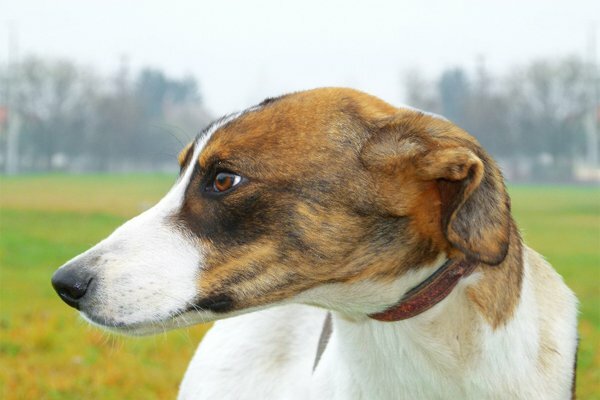 Magyar agárs are longer in body than they are tall, and have a heavier bone structure than Greyhounds. 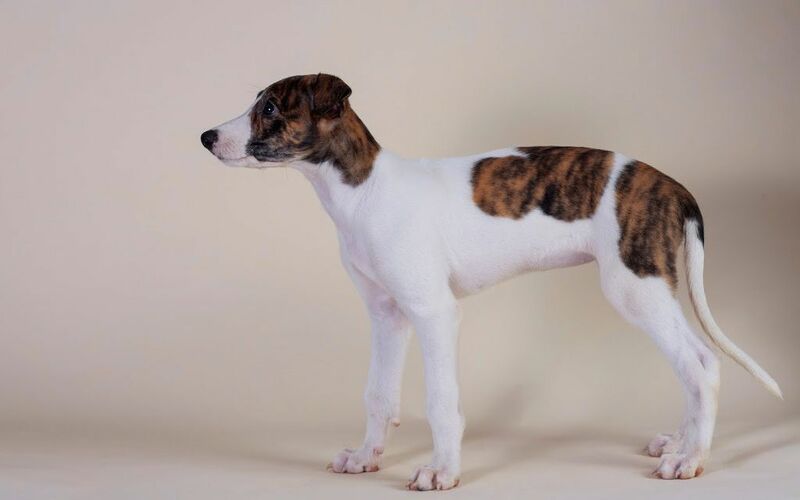 Their heads are more wedge-shaped, with substantial jaw muscles and shorter snouts, giving them a less refined appearance than most Greyhounds. They have rose-shaped ears that are raised about half way and oval-shaped eyes with a bright and gentle looking expression. They weigh between 49 pounds (22 kg) and 68 pounds (31 kg) with a height between 25 inches (64 cm) and 27 inches (69 cm) at the shoulders. This breed is affectionate and docile. 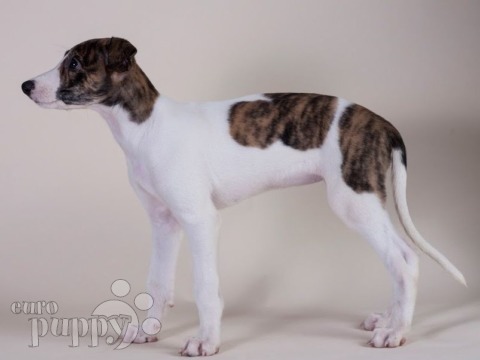 They have a much stronger guarding instinct than some other sighthound breeds. 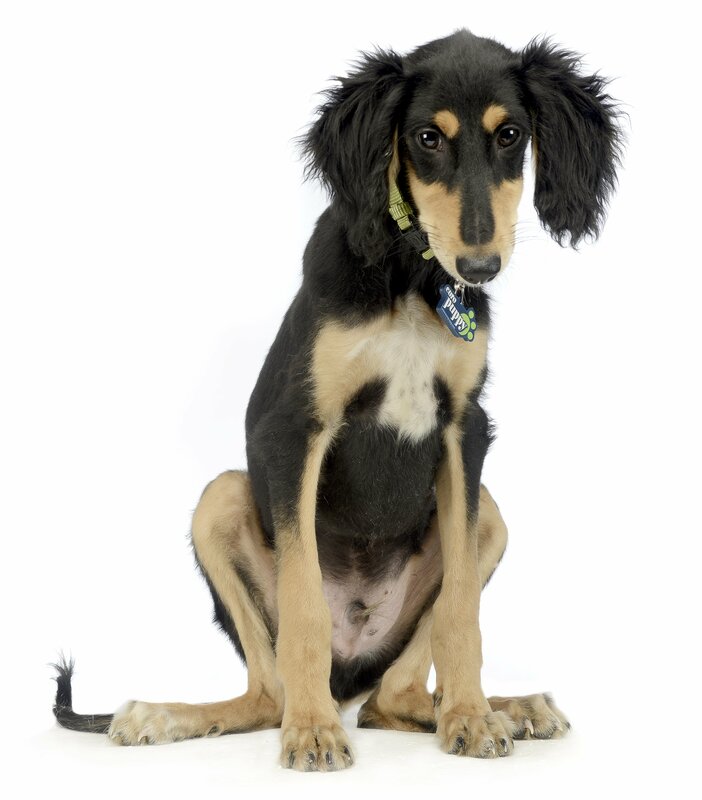 They are usually well behaved around children and also with other dogs. They are somewhat reserved but should not be overly shy. They are intelligent, easy to train and faithful. As with all dogs, early socialization is a must. A whole range of colours. 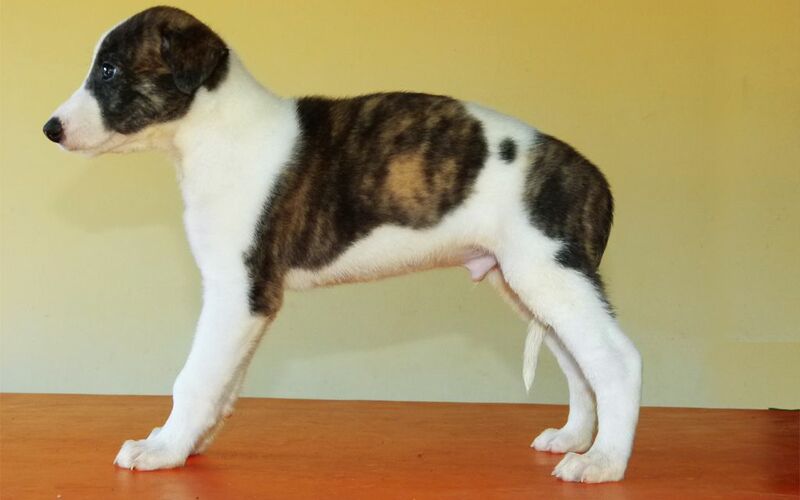 White and brindle is the most common. They have thick skin with a short, dense and smooth coat that is slightly longer during winter months. As such, they are very hardy dogs and can tolerate lower temperatures better than some of the other short-coated sight-hounds. 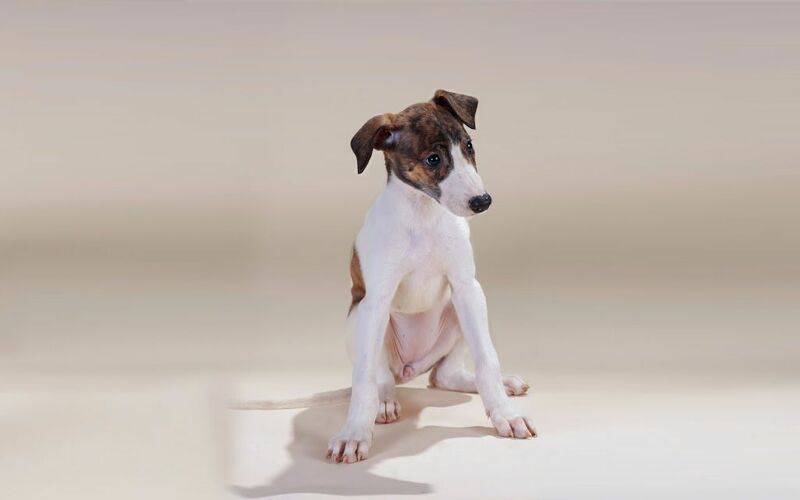 Magyar Agárs are very adaptable and can live comfortably in apartments as well as outdoor kennels as long as they are provided with adequate exercise and human interaction. If kept inside, they are very easy to housebreak and make wonderful house pets. During the day they will spend a good portion of their time sleeping, but they are by no means “couch potatoes” and do require daily exercise to stay fit and happy. Long walks, free running and trotting next to a bicycle are the best ways to exercise Magyars since they are not usually too keen on ball-chasing as are other breeds. Seien Sie vor Allem, wenn eine neue Magyar Agár Rasse zum Markt kommt. 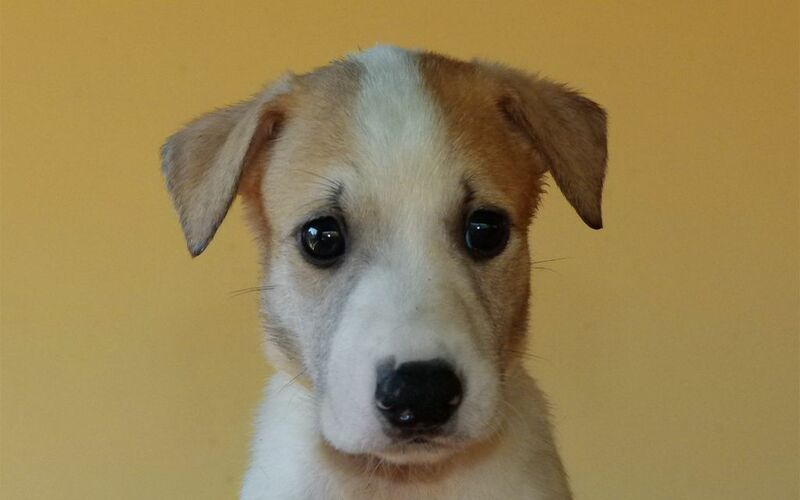 I consent to receive Notifications when new Magyar Agár puppies are posted.